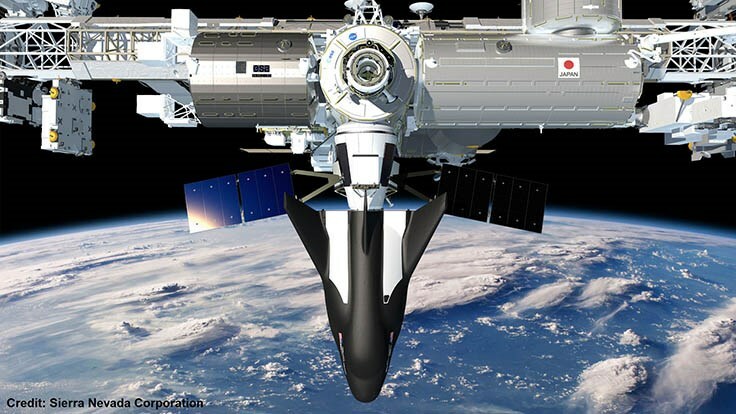 Sierra Nevada Corporation has formally signed a launch contract with United Launch Alliance for two Dream Chaser missions to deliver supplies to the International Space Station under NASA’s second round of Commercial Resupply Services. Meanwhile, the company is making progress toward a resumption of atmospheric flight testing with a full-scale version of their winged space plane that will take off vertically on ULA’s Atlas V rocket, re-enter the atmosphere like the Space Shuttle and glide to a runway landing. 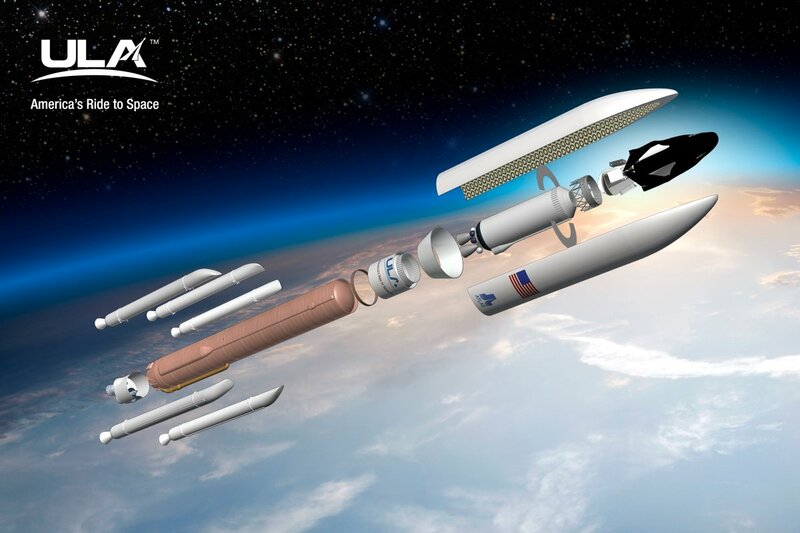 Atlas V had been Dream Chaser’s launch vehicle of choice ever since the first concepts for the re-usable space plane were presented in 2007 and the selection of Atlas V for operational missions was only considered a mere formality. The two missions announced on Wednesday are currently targeting 2020 and 2021; NASA and Sierra Nevada have agreed not to perform a test flight and begin with operational cargo deliveries from the first mission. 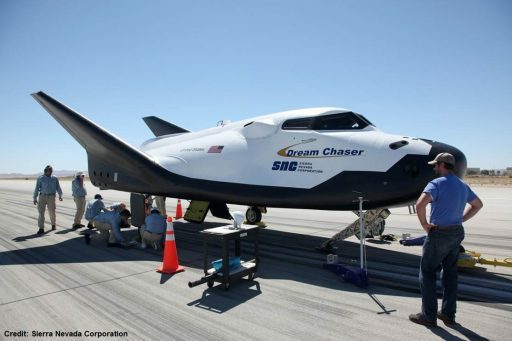 NASA selected the Dream Chaser in January 2016 as one of three commercial vehicles for the second round of Commercial Resupply Services covering a period of 2019 through 2024, the other two companies being the current CRS-1 providers SpaceX with their Dragon and Orbital ATK with their Cygnus. Under the contract, NASA committed to purchasing a minimum of six resupply missions from each provider, though only one mission has been formally ordered so far. NASA cited the primary reason in adding Sierra Nevada to the mix as a desire in a robust cargo fleet as launch failures in 2013 and 2015 have showcased that even with two providers it was possible to end up in a situation where none of them were in a position to fly. One of Dream Chaser’s biggest selling points is its low-G re-entry environment with peak G-forces not exceeding 1.5 Gs which is relevant for a number of scientific studies to be deployed to ISS. Dragon, as the other recoverable ISS resupply craft, subjects return hardware to higher G-loads and a much more turbulent flight environment around the time its parachutes open during final descent toward a splashdown landing in the Ocean. Landing on a runway will also enable experiments to be accessed virtually within minutes after returning from orbit. Dream Chaser, weighing around 18 metric tons – will utilize the Atlas V 552 launch vehicle – the most powerful version of the workhorse launcher, featuring five Solid Rocket Boosters, a Centaur Upper Stage with two RL-10 engines for maximum push into Low Earth Orbit and a five-diameter payload fairing to enshroud Dream Chaser and its expendable cargo module during the atmospheric flight phase. The two-engine Centaur upper stage has yet to fly as part of an Atlas V stack, currently looking at a debut in mid-2018 with Boeing’s CST-100 Starliner. Gearing up for Dream Chaser’s eventual first taste of space flight, Sierra Nevada is currently in the process of performing ground-based tow tests at Edwards Air Force Base as a precursor to captive carry and ultimately free flight tests to validate the craft’s control and guidance system for flight. Dream Chaser had already been to this stage in October 2013 when completing its first free glide test that enjoyed a very smooth approach to the runway but ended with a setback when the craft’s left main gear failed – a non-flight item that had been borrowed from the F-5E Tiger fighter jet. Dream Chaser managed to touch down on only one gear, but eventually skidded off the runway and somersaulted in the desert sand, suffering some structural damage. 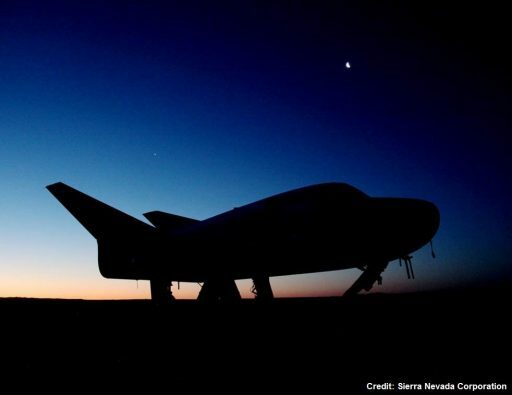 Sierra Nevada shipped a flight-like Engineering Test Article of the Dream Chaser spacecraft to Edwards Air Force Base adjacent to NASA’s Armstrong Research Center in February 2017 to complete an extensive testing campaign. Dream Chaser completed its latest tow test this Monday, being accelerated down the runway by a truck before being cut free to study the craft’s braking performance and put the guidance, navigation and control systems to the test to see whether they can keep Dream Chaser on the runway centerline – a precursor to the craft lining up with the centerline in flight. Captive carry tests will see the craft take flight suspended under a heavy-lift helicopter that will take it to over 3 Kilometers in altitude for an evaluation of all aerodynamic properties of the vehicle. 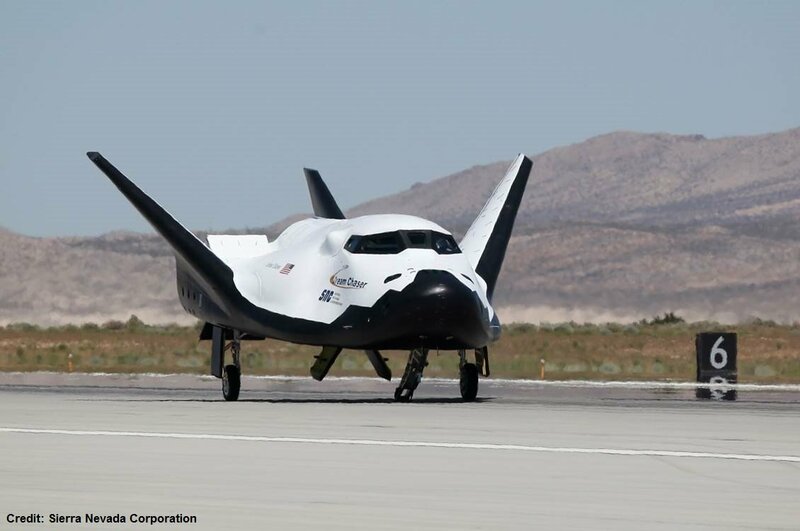 Flight tests are currently expected to get underway later this year, starting out at similar altitudes and will see Dream Chaser pitch down to build speed before entering a simulated approach to test out all flight controls and automated landing systems. 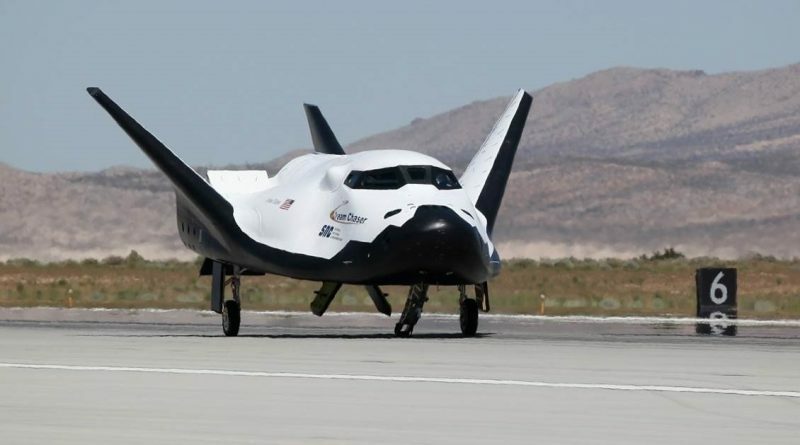 The aim of the test is to have Dream Chaser line up with runway 22L, flare up its nose just around 100 meters in altitude and come to a gentle landing on two main gear wheels and a nose skid for rollout on the runway. Sierra Nevada so far has passed three integration milestones since receiving its CRS-2 contract which are mandatory reviews of design documentation by NASA and the Federal Aviation Administration. In presentations given in 2016, NASA indicated that the first Dream Chaser missions would make use of a robotic capture and berthing before upgrading to autonomous docking of the spacecraft to the ISS – Dream Chaser’s attachment mechanism developed by Belgium-based QinetiQ will be capable of both. In addition to its NASA missions, Dream Chaser has won over the United Nations Office for Outer Space Affairs (UNOOSA) that is currently developing a 2021 mission utilizing the Dream Chaser to fly around 30 scientific studies from UN members to space. The two-week mission to Low Earth Orbit is primarily focused on Sustainable Development Goals (SDGs) and will be available to all UN Members including developing countries that rarely receive an opportunity to carry out research in space.